Apple announced beta releases for iOS 9 and Mac OS X 10.11 El Capitan during its Worldwide Developers Conference keynote, and while developer previews of both pieces of software are already available for download, Apple will be making them both available as part of a public beta progream next month, too. With OS X 10.10 Yosemite having already gone through the public beta routine following last year’s WWDC event, this is the first time an unfinished version of a major iOS release has been made available to the public. Apple has historically kept its cards close to its chest during beta programs, preferring to keep as much information confidential as possible, but of late the company has become aware that the more people testing its software, the more bugs and quirks can be found along the way. With both iOS and OS X having come in for some stick of late due to stability issues, anything that helps in that regard should be welcomed by Apple’s engineers. So with that in mind anyone who fancies themselves as a beta tester can get in on the program to test both iOS 9 and Mac OS X 10.11 El Capitan or indeed just one of them. 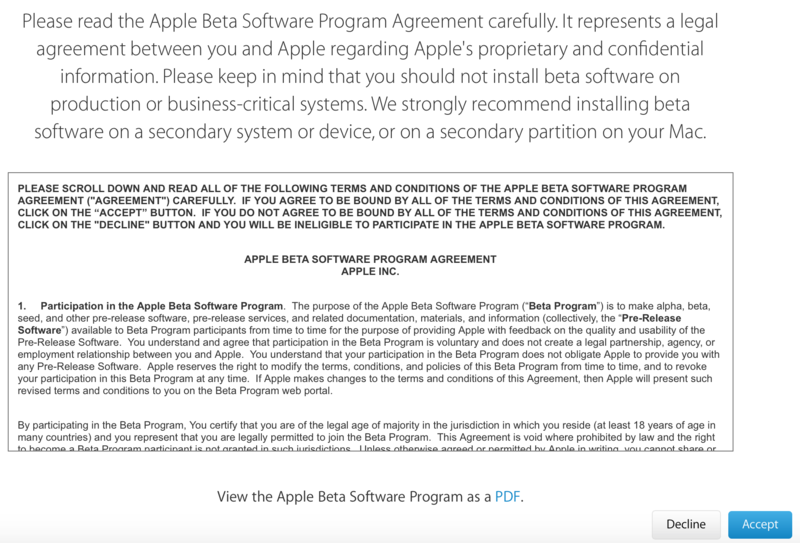 Step 1: Go to Apple’s beta program sign-up page located at https://beta.apple.com/sp/betaprogram. Step 2: Once there, click on Sign Up. You will need an Apple ID to sign up for this program. Step 3: Accept the new terms and conditions. 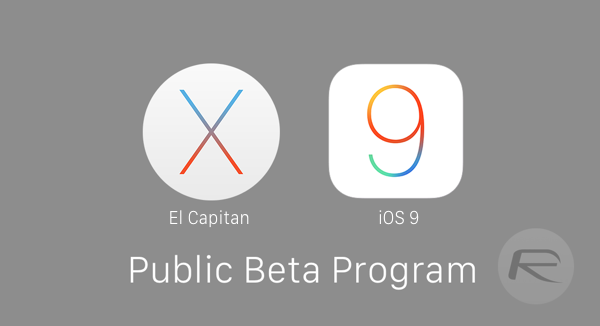 Now just sit back and wait for the betas for iOS 9 and OS X 10.11 El Capitan to live in July. Apple will inform you via email. Anyone signing up to test beta releases of software should be aware of what they are letting themselves in for though. This software needs testing for a reason, and strange bugs can make iPhones and Macs do some odd things. Not all apps will work as they should either, so don’t blame developers when your favorite games and apps won’t work when used on a beta operating system no matter how frustrating it can be. With thad said though, there’s something to be said for trying unreleased software, especially when there are plenty of new features to try! I think people should be lucky to try the betas, including me. I can’t wait to test out and report in bugs to developers and Apple, even though I can’t fix the problems. However, if Apple wants to keep this secure and proactive within the beta community, they should recquire individuals to report at least 5-10 bugs for each beta. If not, no less then 2. This will keep kids and unfamiliar people who have no clue about beta content from messing up their phones, and wasting Apples time. Yes, I know Apple has to approve fixes if reported, but this could potentially help. Just my opinion. I like that idea. Or if the springboard or Apple core system apps crash, they could ask the user to send that crash report to Apple for review. We need that too. 100%. Hopefully, a developer sees our ideas and tries to create some type of app that deals with bug reports and crashes. Betas and GM releases. After getting the beta version, can we switch back to iOS 8?.. Just a doubt! Redmond just posted something about downgrading from iOS 9 to 8.3. It is better to look at the information on that page then get more information from me, hence I am not familiar with downgrading. I’ve tried in the past, and it has never worked.